Beautiful Venetian mirror with etched glass and rounded edges. 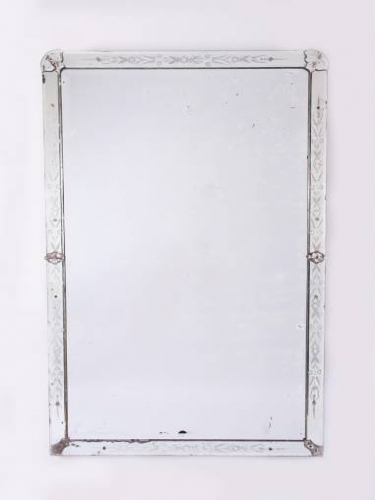 Main part of mirror is bevelled. Original mirror glass.